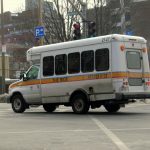 On Monday lawmakers confronted members of the MBTA’s Fiscal and Management Control Board on their efforts to privatize the agency’s bus maintenance operations. 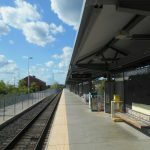 The lawmaker’s letter also requested the board produce correspondence between MBTA officials and First Transit from both current negotiations for bus maintenance as well as their previously failed contract with the agency, which resulted in a $7.3 million settlement when the private contractor backed out of the contract. Listen to the full testimony in the video and get the word out by sharing with friends and family!